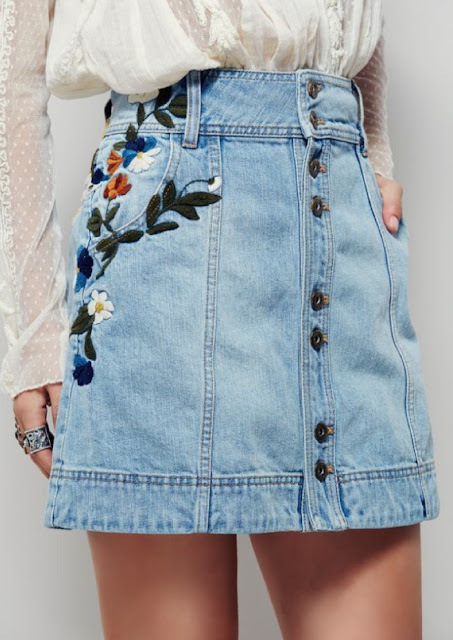 So Summer is hitting and for me its all about florals and denim- either together or separate, these are two trends for this season that never seem to date or go out of style. 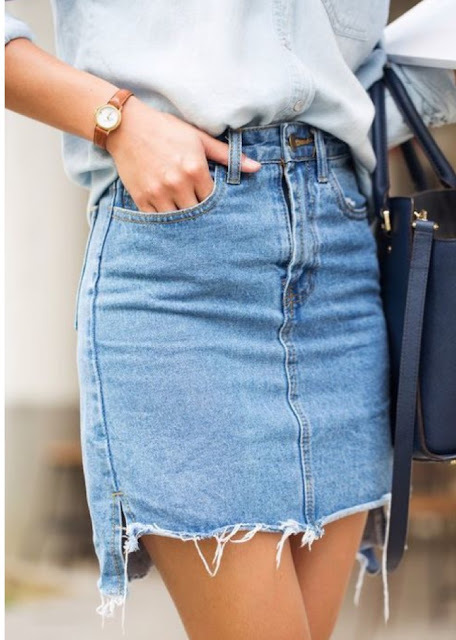 I love denim skirts for summer and always try and make sure I| have denim skirts not just for work-yay- I'm fortunate I can wear denim as part of my work uniform- but of course for leisure and social occasions too! I tend to go for a shorter hem line and right now there is plenty at high street level for all tastes! So when I went shopping this weekend and stopped off at a larger Sainsburys as a pit stop for my mate, we couldn't help but have a browse through the TU clothing range. I can never pass through TU without wanting something and in the larger branch I was in they had an amazingly large section of fashion and accessories at half price or less. So two for less than the price of one!! I found this cute scalloped edged hem skirt and the studded unfinished hem skirt, what a bargain indeed and perfect for the festival and holiday season that I've got coming up!! The one thing about denim is you can style it up or down- a pretty chiffon blouse or a faded band tee work so well with a denim skirt or shorts and paired with bejewelled or metallic sandals will take you into a casual stylish evening look too! 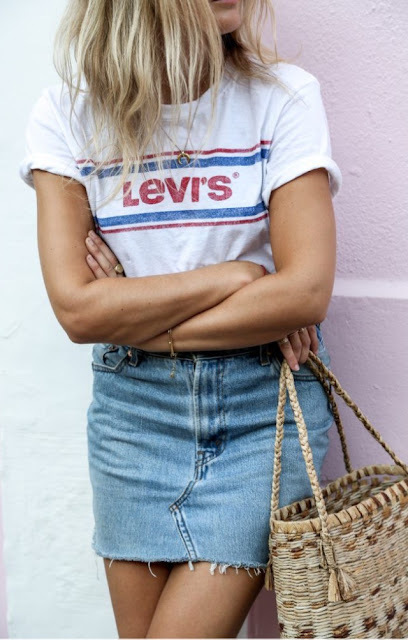 What summer trend are you all over this season? Yay! You are back, and you look fab! 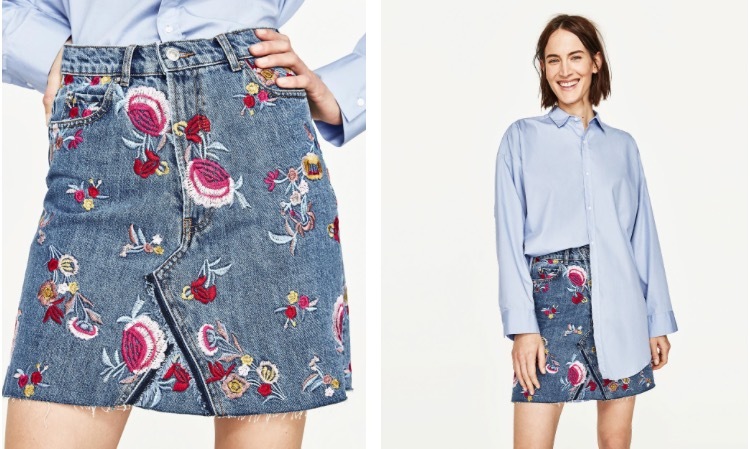 Love those denim skirts, and the Tu ones are cracking bargains as well! Hotter Sandals for a Hotter Summer! !